In an era when music renowned for being digital, it's rather surprising to hear that demand for analog forms of music continue to grow. 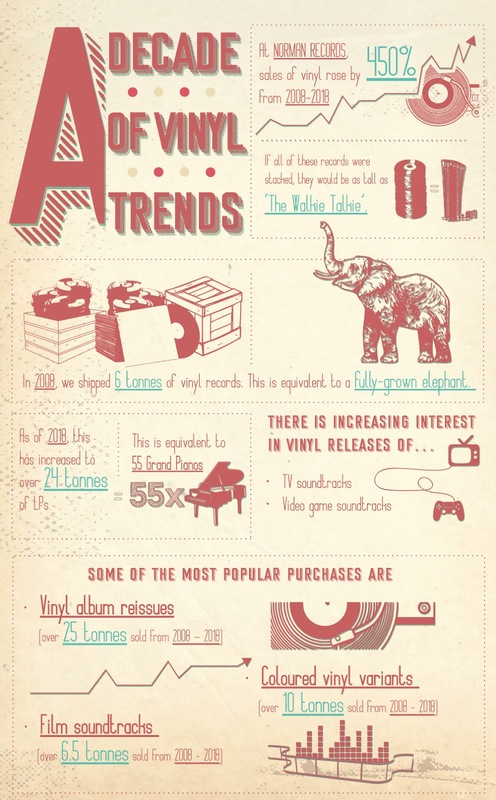 You'll probably not be surprised to hear that sales of vinyl records are growing (500 per cent growth in the amount of vinyls sold in 2018 vs 2013). However, it's the revival in sales of much maligned cassette tape that is raising a lot of eyebrows. 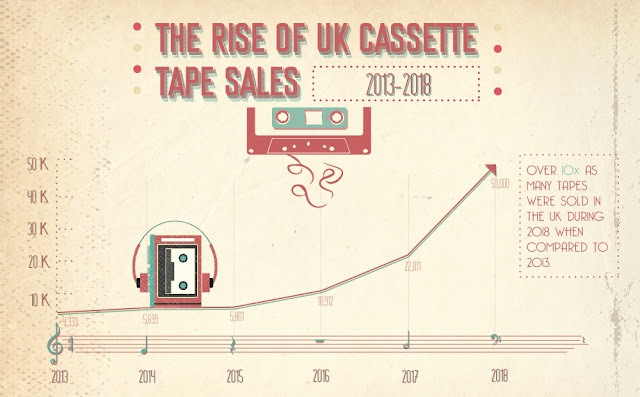 In fact, 10 times the amount of cassette tapes were sold in the UK alone during 2018 than in 2013. That’s a drastic leap of 125.3% when compared to 2017 and accounts for the largest volume of tapes sold since 2004. Norman Records, an independent, online record store based in Leeds, has been digging through industry facts and figures from the last few years and plugged in some juicy insights of their own to provide a unique overview of the UK's listening habits. For example, their data hints that the popularity of films such as Guardians of the Galaxy with Awesome Mix tapes Vol 1 and 2 can be attributed to the success of the 80’s retro cassette player and tapes making a comeback in recent years. Vinyl record sales are now at their highest since the early 90s with over 1 in 10 of all physical albums purchased now on vinyl. In total, there were 4.2 million records sold in the UK in 2018. It's not all good news for non-digital formats however. 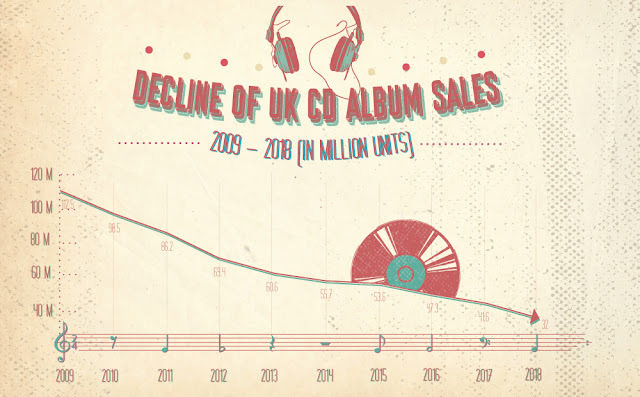 Sales of compact discs seem to be slowing down, with just 32 million CDs sold in 2018 - that's almost 100 million fewer than in 2008. A closer look also reveals an average drop of 9.6 million sales year on year.